Denmark is set to build a fence along the German border in an attempt to keep out swine flu. Critics say it won't work, harms wildlife and may only be a symbolic gesture to cater to farmers and anti-immigrant sentiment. Denmark gave final approval on Tuesday to the building of a controversial 68-kilometer (42-mile) fence along the border with Germany to protect its giant pork industry from wild boar that could carry African swine flu. Critics say the â¬ 11 million ($10 million) fence is a waste of money that doesn't work against a problem that doesn't exist, while environmentalists have raised concerns about its effect on the ecosystem. The fence may also be symbolic for the Danish right-wingers keen on hard borders and keeping migrants out. 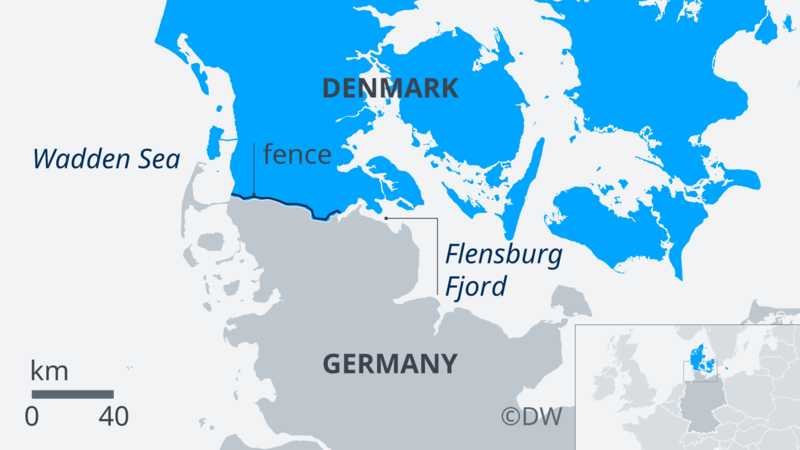 The 1.5 meter tall and half-meter deep fence will run along the entirety of the Danish-German border, from the Wadden Sea in the west to the Flensburg Fjord in the east. 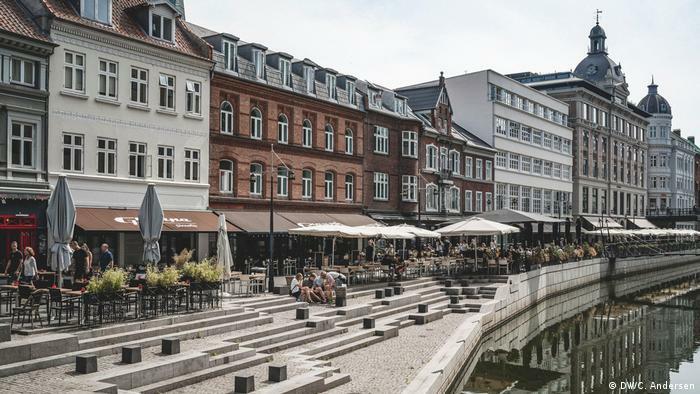 The fence, slated to be finished by the end of 2019, was approved by the parliament in June with the support of the government, Social Democrats and right-wing populist Danish People's Party. The Environment Ministry gave final approval to the project on Monday following public consultations. The fence is intended to stop wild boar from infecting pig farms with swine flu virus. Around 5,000 pig farms export 28 million pigs annually, accounting for half of Danish agricultural exports and 5 percent of all exports, according to the Danish Agriculture and Food Council. The deadly swine virus, which does not affect humans or other animal species, has been found within EU member states Estonia, Latvia, Lithuania and Poland. A swine flu outbreak in Denmark would halt all non-EU pork exports. < p>No swine flu has been detected in Germany, raising questions as to why the fence is even being built. Environmental groups are concerned that construction of the fence will disturb the migration of wild animals and birds, some of which are protected by Danish and EU legislation. "We know from experiences around the world that physical barriers such as a fence impact animal migration," Thor Hjarsen, senior biologists at World Wildlife Foundation in Denmark, told DW. Deer, wolves, otters, foxes, golden jackals and cranes are among the species that could be impacted. There is also the question of whether the fence will be effective against its stated purpose. "The problem with the fence is that there is no documentation that it works," Hans Kristensen, a hunter, wildlife author and expert on wild boar migration who lives along the border, told DW. "On the other hand, ther e is plenty of evidence it won't work." Wild boar are distributed along the eastern coast of the Danish-German border and are very rare in the west, Kristensen said. 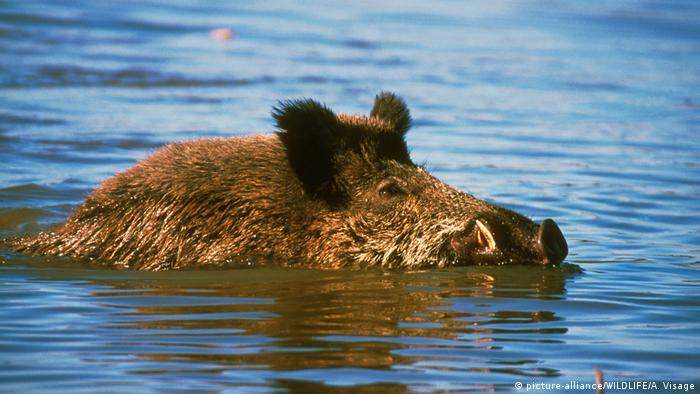 In the east, the wild boar can swim across the Flensburg fjord, a body of water separating Germany and Denmark. "A fence can't be erected there. That is part of the border where they cross," he said. Wild boar are good swimmers. Denmark is part of the EU's border free Schengen Zone. Roads and railroads crossing the border won't be impacted by the fence. That leaves dozens of openings in the border through which wild boar could pass, rendering the barrier useless, Kristensen said. Critics like Kristensen and Hjarsen say the biggest risk of swine flu spreading isn't from wild boa r crossing the border. Instead, the threat is from trucks transporting infected swine or spreading contaminated food. Rather than tackling swine flu, the fence may have a symbolic effect to show the powerful pig farming industry that the pro-agriculture government is doing something and to appease the right-wing in Denmark. "Cracks have appeared in the map of Denmark. [...] Throughout the country, there are parallel societies." With these words, Danish Prime Minister Lars Lokke Rasmussen announced his government's new "ghetto plan" during his 2018 New Year's address. 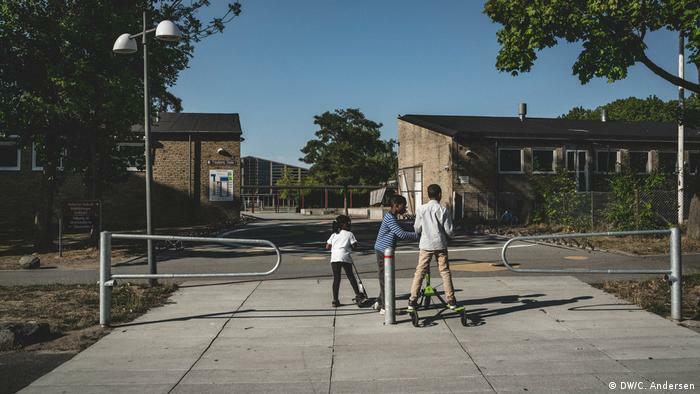 The plan was presented in one of Copenhagen's so-called "ghettos," Mjolnerpar ken. Rasmussen's center-right government identified 25 deprived areas, including Mjolnerparken, that fulfill three of five criteria: high unemployment, low income level, low level of education, a majority of inhabitants from non-Western countries and more than 2.7 percent of adults been convicted of crimes. The newly introduced measures include mandatory child care for toddlers living in these areas. There they are to be taught about d emocracy, equality and the sentiment behind major Danish holidays, among other things. 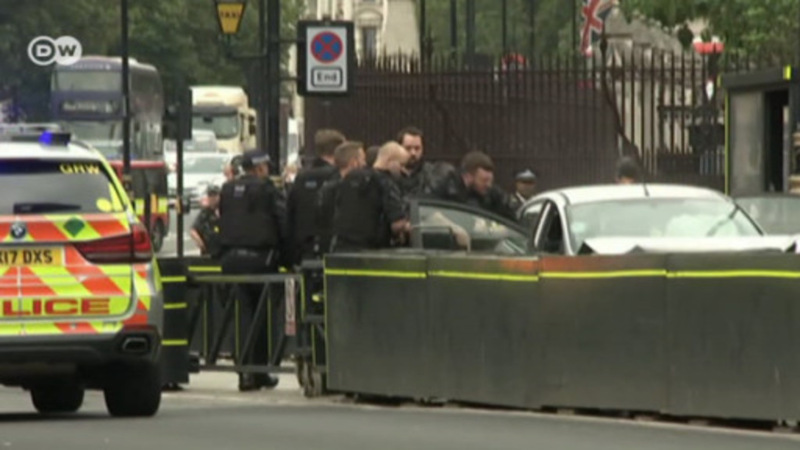 Controversial proposals to double the penalties for certain crimes committed in "ghettos" are under discussion. Denmark is a very homogeneous society. Almost 87 percent of its population of 5.7 million people is of Danish descent. The country has struggled to integrate immigrants from outside Europe. 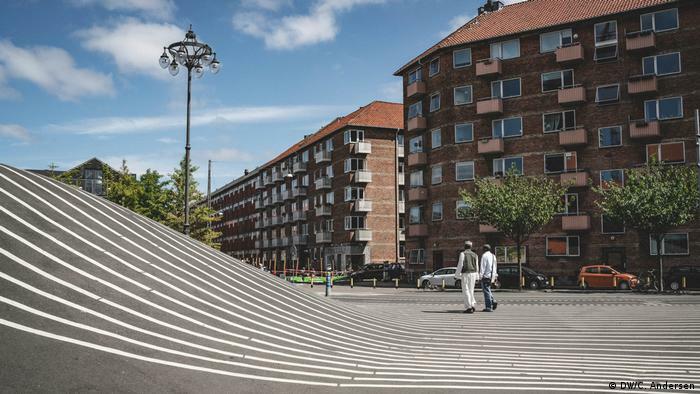 With its wavy line, Superkilen Park is a go-to spo t for tourists in Copenhagen who want to snap cool photos. The park also directly borders the Mjolnerparken "ghetto," which begins behind this little hill and is generally left out of the itinerary of visitors to trendy Superkilen. 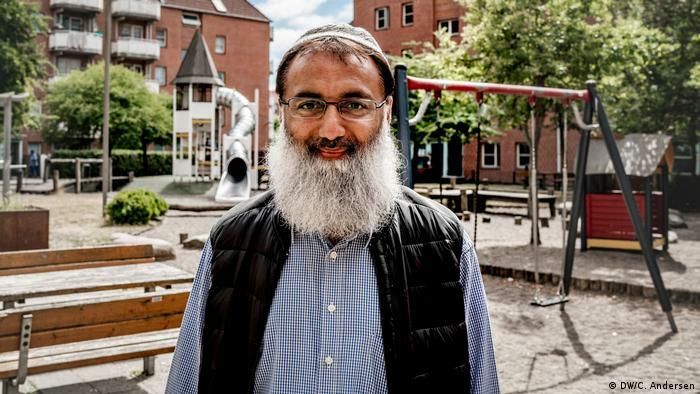 Muhammed Aslam lives in Mjolnerparken. Originally from Pakistan, the father of four has been living in the very same apartment since the estate was built. He disapproves of the government targeting the area he calls home: "The politicians are taking all our freedom and democratic rights from us. They are sitting in parliament and are having a conversation without us." 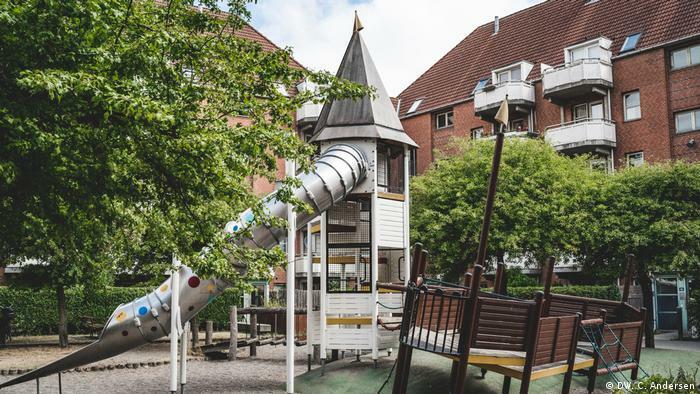 Tingbjerg is another Copenhagen neighborhood deemed a "ghetto." 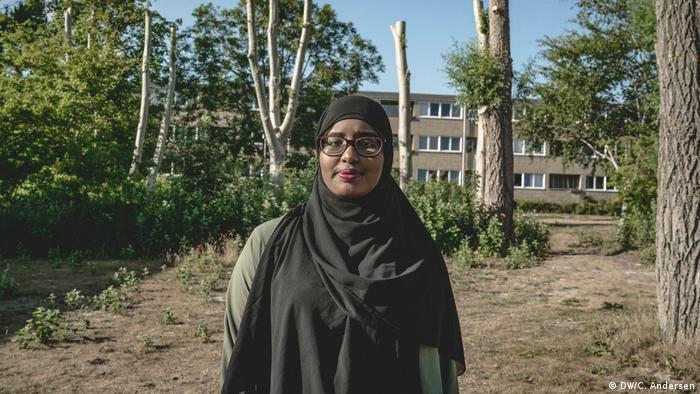 Originally from Somalia, Barwaqo Jama Hussein works at a drug store and is actively engaged in Tingbjerg's community. She is frustrated by the public discourse: "You see yourself as a negative thing. You must be a ghetto child. When you tell people that you are from Tingbjerg, a lot of them say: 'Oh, is that the ghetto?'" 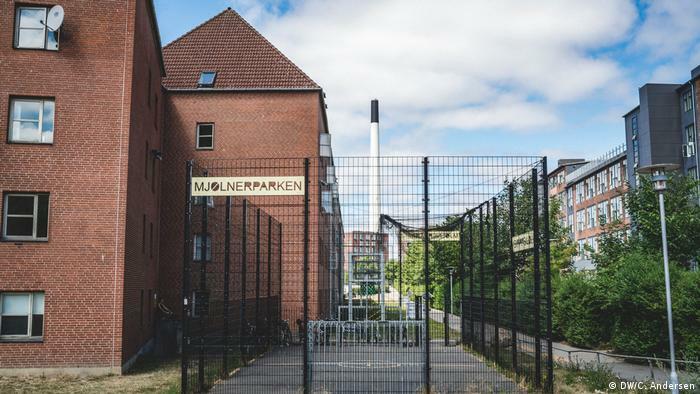 Politicians from the right-wing populist Danish People's Party, the second-largest party in parliament, have in the past suggested erecting a tall, barbed-wire fence with motion detectors along the German border as Europe has witnessed an influx of migrants in recent years. "You won't see anyone admit it , but one reason why the fence could get votes in parliament was because of the right-wing in Denmark," Kristensen said. "The fence won't keep wild boar out and it won't keep migrants out, but the symbolic value is immense for the right wing." "We are ahead of Donald Trump, we have built a fence and I'm not proud of it," he said. Watch video 05:24 Now live 05:24 mins. For German hunters, itâs open season on wild boars all year round. There is, perhaps, good reason for the new decree, given that the African Swine Fever is rampant in a number of European countries east of Germany. 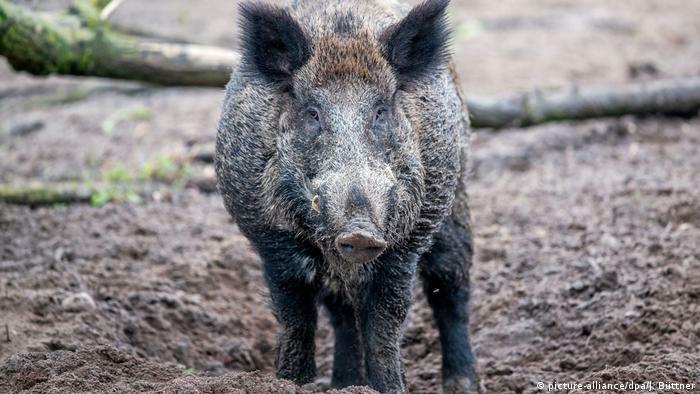 From a forest near Bonn, Spectrum hosts Gabriel Borrud and Conor Dillon present Germanyâs wild boar problem this week, while in search of the peculiarly robust beasts. DW Ne ws presents the most important news â" in brief, quickly and up-to-date. Tourist trap and memorial: What is to become of Checkpoint Charlie?